As you already know, having crepes on Sundays is our family tradition. 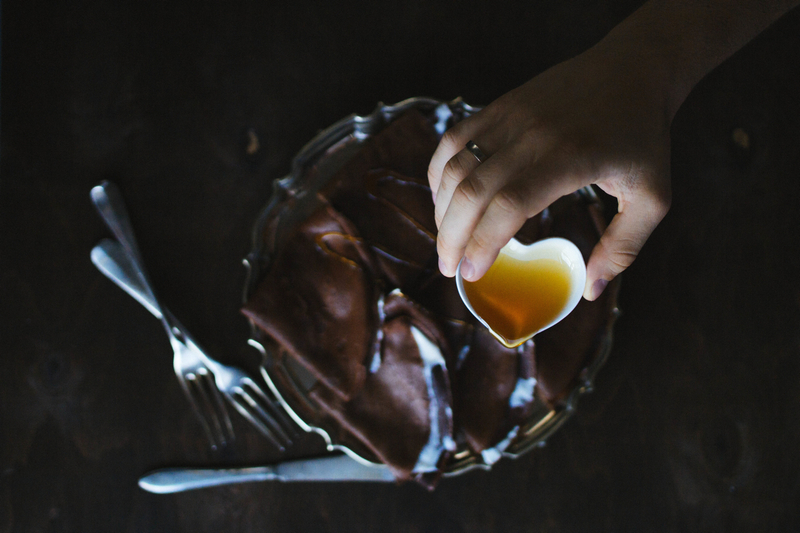 I love thin crepes for breakfast at least because you can make a lot of different stuffings that suit your mood. I mostly love salted stuffing, and already shared a recipe of one of my favourite options “Crepes with blue-cheese and mushrooms“. If you didn’t cook them yet, I strongly recommend to do that! 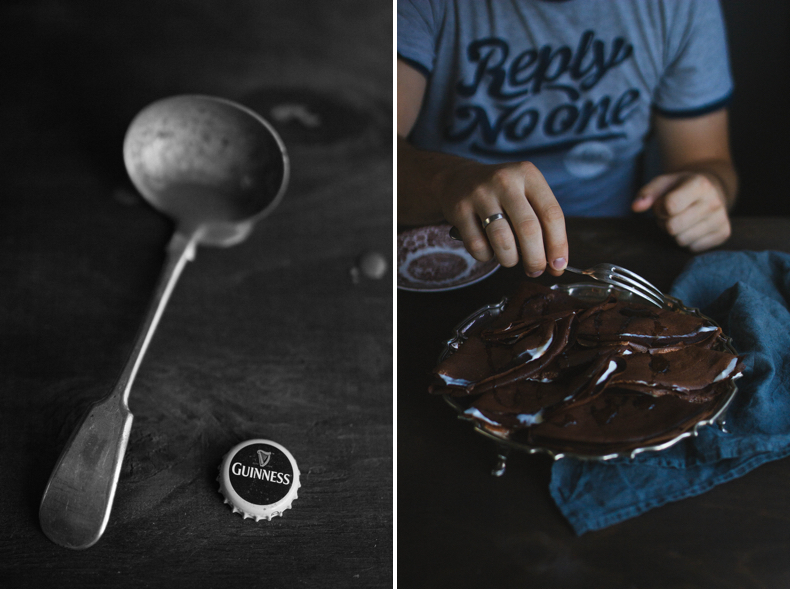 But today I’d like to share a sweet crepes recipe, with chocolate and beer. To be honest I don’t like alcohol in pastry too much. 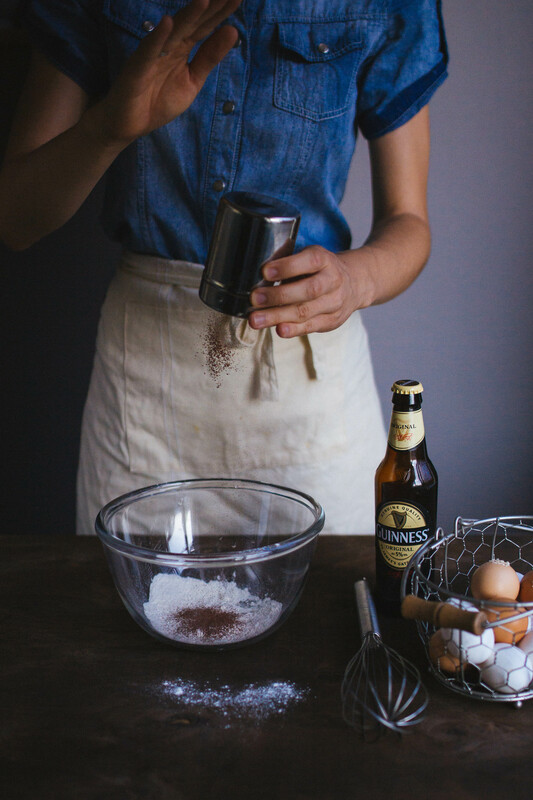 In this case beer is almost not noticeable, but adds airiness to the dough and emphasises the taste of chocolate. 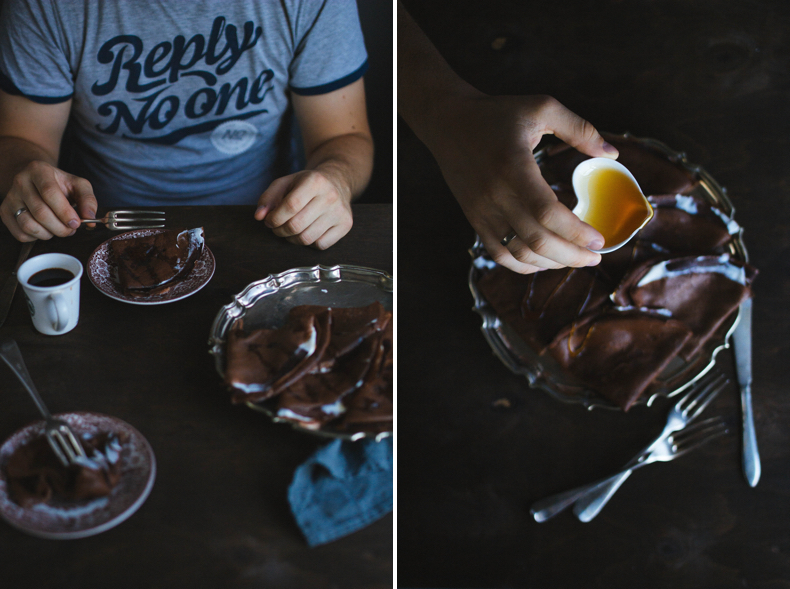 I rarely repeat a same recipe, but i will surely cook these crepes again. Good morning and bon appetite! 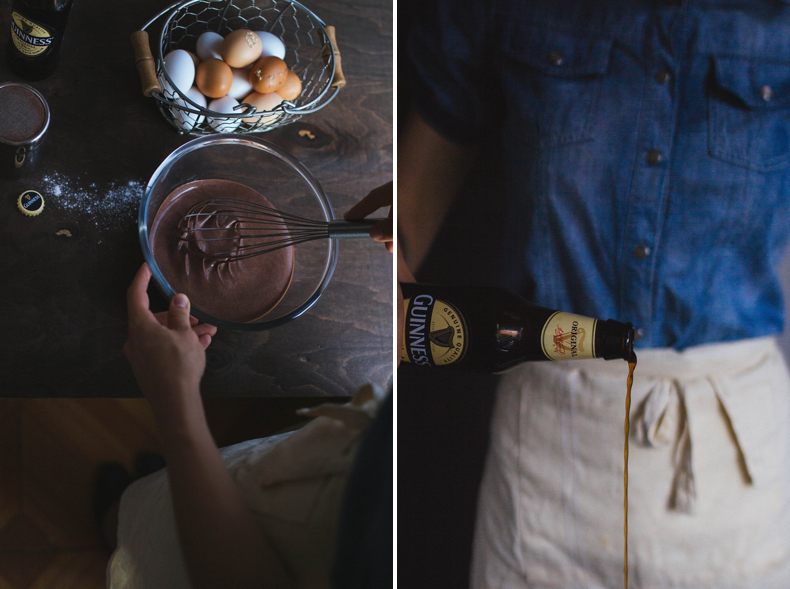 Beat the eggs with milk, add the beer (I used Guinness). Carefully pour cooled melted butter. Sift flour with cocoa powder. Add dry mix to a liquid mixture. Add sugar and beat well to avoid lumps. You should have a smooth liquid batter. Cover the bowl with cling film and put into the fridge overnight. The dough should be insisted. 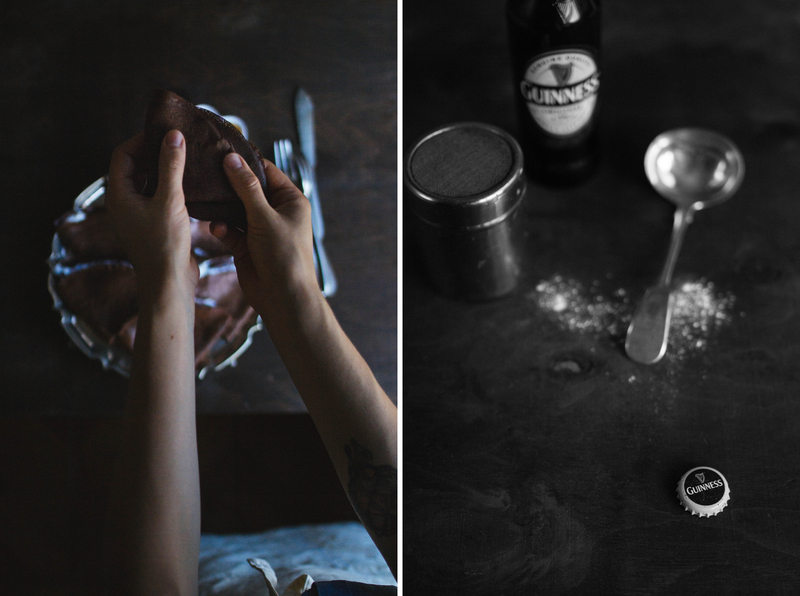 In the morning it will be the right consistency. If the batter will be very thick, add a little milk. Fry thin crepes in a special pan for crepes without oil (or with a little oil, depending ability of your frying pan). You can choose any stuffing you like. 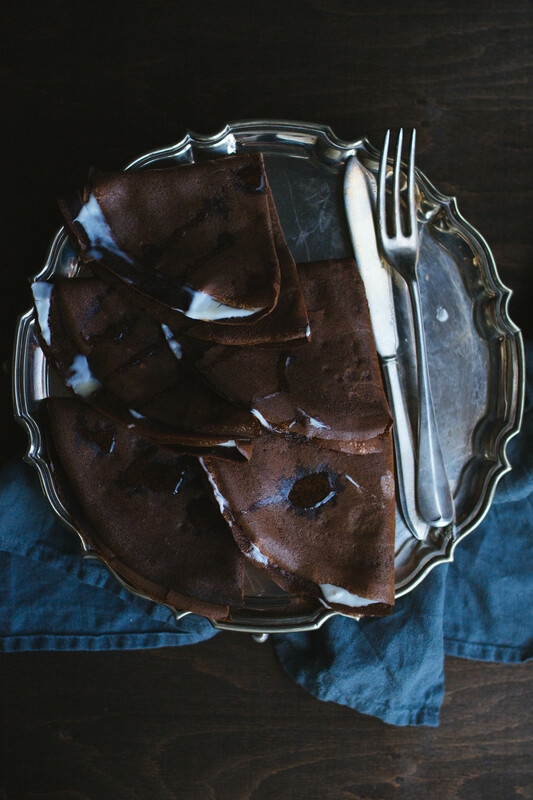 I love these choco-crepes with sour cream and honey. They turned out incredibly tender. I also love next combinations: chocolate crepes with raspberry, with any berries and cream cheese. They will be delicious if you make them with peaches and blue-cheese. I think so) Anyway, I will say that the crepes are so good even without stuffing.